This barrel aged episode is one of my favorites from 2009. Not only am I a Robert Wright fan but his book we discuss, The Evolution of God, is one of my favorites. I hope you enjoy this throw back episode and my thicker southern accent. 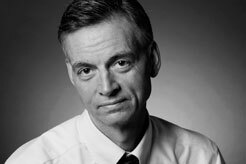 Robert Wright is Visiting Professor of Science and Religion at Union Theological Seminary in the City of New York. He is the author, most recently, of The Evolution of God,which was a New York Times bestseller and a finalist for the Pulitzer Prize. His other books include The Moral Animal: Evolutionary Psychology and Everyday Life, which The New York Times Book Review named one of the ten best books of 1994, and Nonzero, which Bill Clinton called “astonishing” and instructed White House staff members to read. In 2009 Wright was named by Foreign Policy magazine as one of the top 100 global thinkers. Wright has written for The Atlantic, The New Yorker, The New York Times Magazine, Foreign Policy, and the op-ed pages of The New York Times, The Washington Post, and The Financial Times. His books have been translated into more than a dozen languages, and his awards include the National Magazine Award for Essay and Criticism. Wright is editor-in-chief of the websites Bloggingheads.tv and Meaningoflife.tv.